This is really something – and kind of scary because there are people actually almost like this. 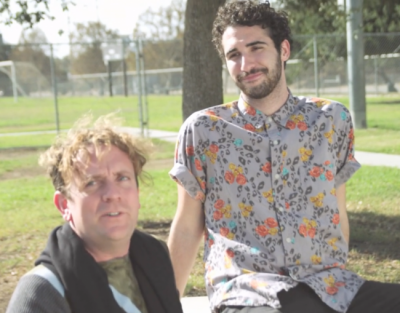 In Jordan Firstman’s short film The Disgustings, Firstman and the great Drew Droege play a pair of best friends who are hilariously and sadly beyond toxic. We get to see them take no prisoners throughout their LA day – brunch, a hike, a movie, happy hour. They are a pathetic pair who are pretty much over everything and shut off to even the good things in life.